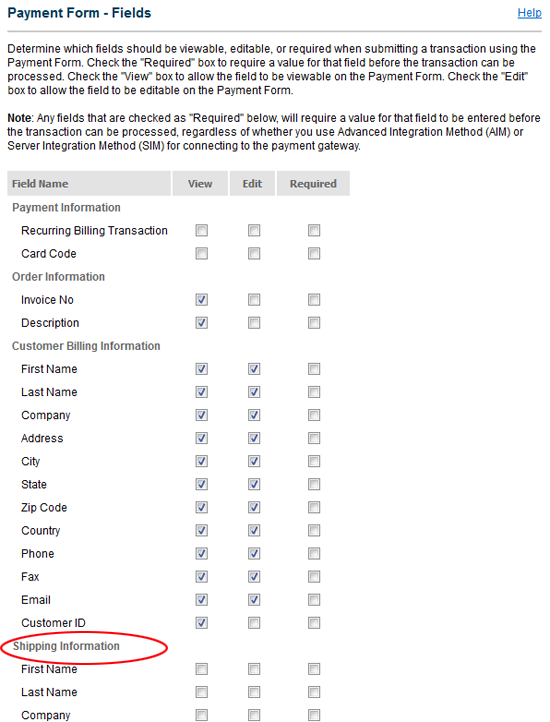 The default settings for the Authorize.net customer payment form include several fields that are unnecessary for a typical VR business. Fortunately, Authorize.net permits you to customize this. 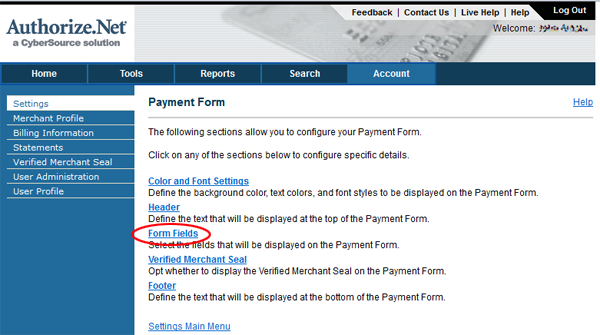 Then click the "Payment Form" link (red circle, above). You will want to scroll down a bit to see them all, and you'll probably want to un-check all the "Shipping Information" boxes, and probably all the fields in the "Additional Information" section as this includes things like tax, freight charges and other things usually not needed for a VR business. Also, don't forget to click the Submit button at the bottom to save your changes. 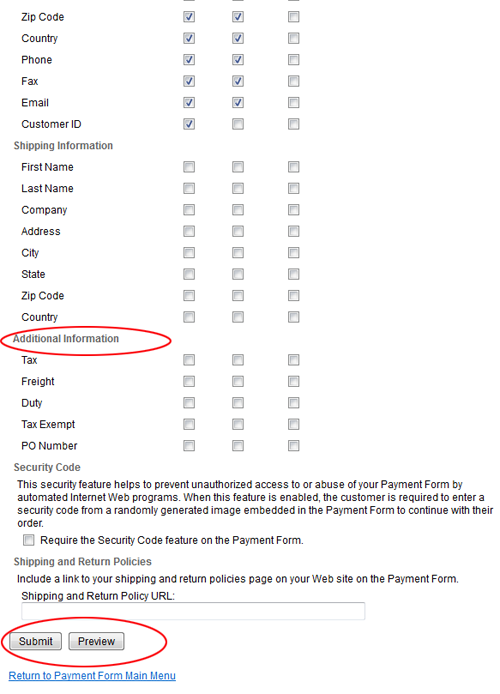 You should Preview the payment form, always a good idea. 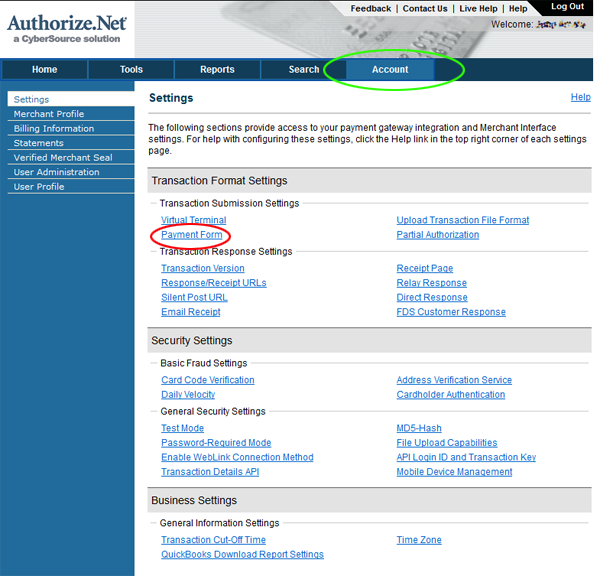 Authorize.net allows several other customizations to the payment form, including headers, footers, background and font colors, and more. You can even include images and some HTML content in the header and footer, but this involves emailing Authorize.net Support to send your images to them for hosting, so if you want to go that route, contact them for help.